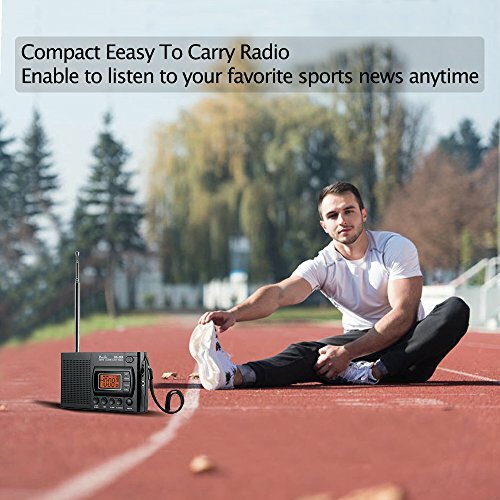 Support AM/FM 2 band stereo radio, manual search or auto search, lots of choice for radio fans. 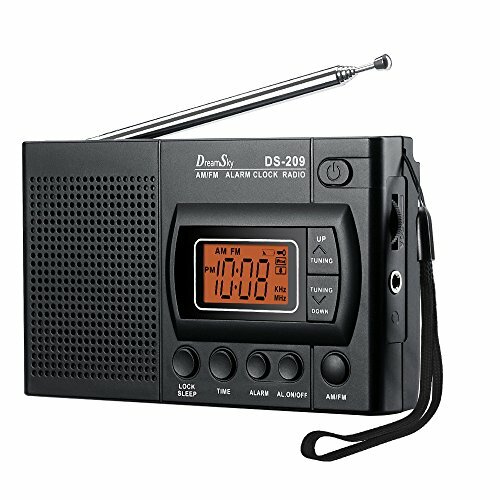 Single AM/FM switch button , easy to switch to your favorite band . 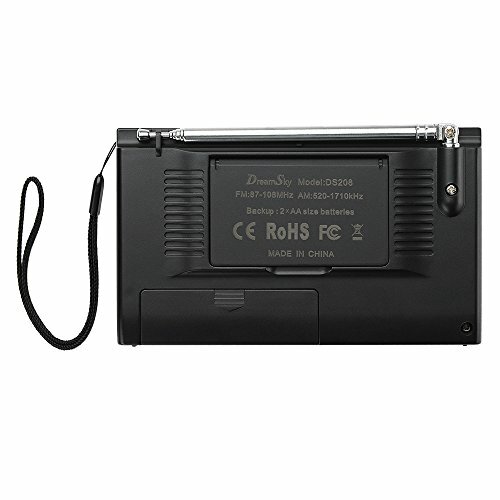 Battery operated , small pocket size , portable to carry to anywhere . 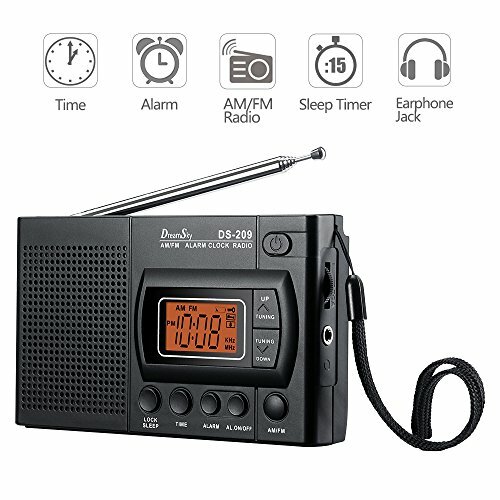 12 or 24Hr time display optional. 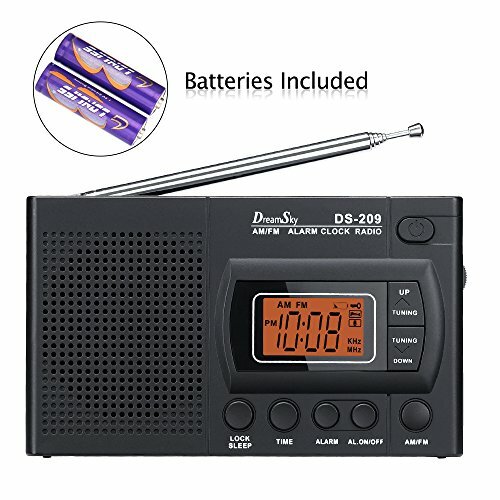 Single alarm setting with ascending alarm sound to wake up. Alarm sound will last one hour until turning off . Built in high performance loud speaker enhance your listen experience . 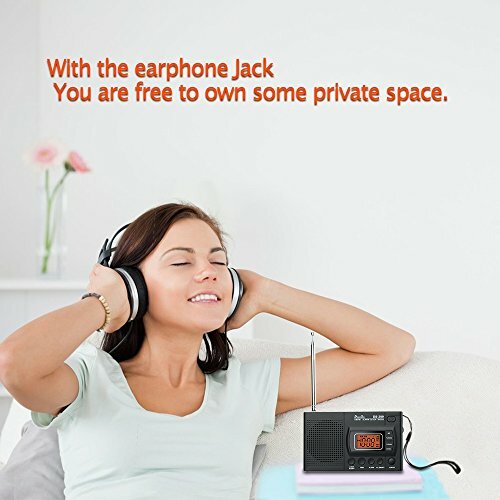 With the headphone jack , you are able to own some private space without disturbing others . Unlike wire antenna , the metal telescopic antenna will catch a better signal without much static . Telescopic antenna can be extended to 14 inches( max) for better reception in weak signal place . 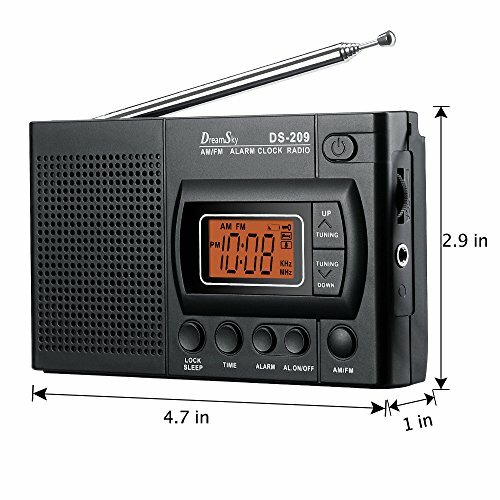 Fall asleep to the radio using the programmable sleep timer ( 10-120 minutes optional ).